The //SEIBERT/MEDIA blog is a collaborative effort with many of our employees and guest authors writing posts. We introduce some of our current active regular and guest authors below. Kym is a freelance writer and translator, with a background in computer science. She looks after our English blog and social media accounts, and performs editorial work as necessary. She has been with //SEIBERT/MEDIA since 2016. 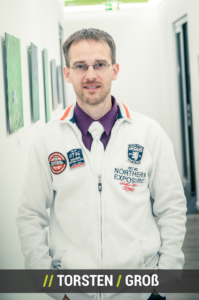 Torsten has been a developer at //SEIBERT/MEDIA since 2002. As the company has evolved over the years he has used many different agile development methods and is an expert in the software that we use ourselves and recommend to our customers. His current position in the marketing team includes the technical responsibility for our websites. 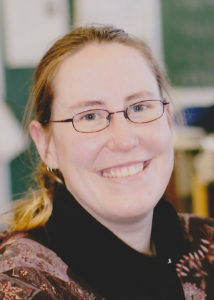 Inga has been working at //SEIBERT/MEDIA since 2013. 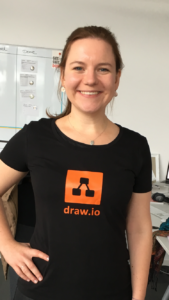 Her focus is on the marketing and further development of draw.io. In addition, she is involved in inter-team coordination and the implementation of marketing activities within the company. Uta has been representing //SEIBERT/MEDIA in the U.S. since 2013. She brings Linchpin intranets to wide audiences throughout the country, is in charge of sales, marketing and keeping the accounting organized. To learn more, please see Uta's profile. She can also be found online at LinkedIn. Matthias is part of the marketing team, and looks after our regular German publications (blog, Twitter, YouTube, newsletter) and performs editorial work throughout the company. Video editing and production are often in his capable hands. He has been with //SEIBERT/MEDIA since 2007. Martin is the founder and CEO of //SEIBERT/MEDIA and is passionate about corporate communication, intranets and collaboration. To read more or get in touch with him, please see Martin's profile. He can also be found online at Xing, on LinkedIn, and on Twitter as @mseibert. We are delighted to offer translations of articles from German intranet specialists. Frank Hamm and Karsten Wendland are often featured on our blog. Frank Hamm is a consultant for communication and collaboration who supports companies in their digital transformation. He has written for INJELEA blog about social business, intranets, enterprise 2.0 and company communication practices since 2005. You can find him on Twitter, Facebook, LinkedIn and XING. Here is an overview of all articles that Frank has written for us. Karsten Wendland is the head of the Institute for Information Design and Complexity Reduction® (www.ininko.de), which is part of the Steinbeis network. 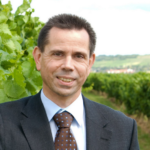 He is also a Professor of Media Informatics at Aalen University. His current work priorities are the digitalization of the world of work, information management, and technology design. Here is an overview of all articles that Karsten has written for us.